In 1987, Austrian businessman, Dietrich Mateschitz, reinvented the energy drink industry when he modified a Thai beverage recipe and brought it to Europe with his partner, Chaleo Yoovidhya. Mateschitz and Yoovidhya named their new product after a translation of the Thai refreshment’s name, “Krating Daeng,” or “Red Bull.” They began selling their signature blue and silver cans in Austria, but quickly expanded, entering the United States market in 1997. Red Bull is now a household name worldwide due to its reinvigorating, tasty formula and the company’s innovative marketing strategies. Known for its slogan, “Red Bull gives you wings,” this company regularly hosts extreme sports events, sponsors athletics teams, and even has its own record label. In an effort to protect the environment, Red Bull has made its packaging 100 percent recyclable. The company also hosts the Wings for Life World Run to support patients with spinal cord injuries and provides fellowships to aspiring artists through the Red Bull House of Art. Red Bull refreshments energize consumers with caffeine, taurine (an organic acid), glucoronolactone (a chemical compound), and various B vitamins. They come in 12 regular and sugar-free varieties. As of 2008, Mateschitz and Yoovidhya had cultivated an estimated $4 billion net worth due to the success of Red Bull. The corporation currently employs more than 10,000 employees, is in 167 countries, and has sold more than 50 billion cans. With 5.6 billion cans sold in 2014 alone, Red Bull is the most popular energy drink in the world. Forbes named Red Bull the 76th Most Valuable Brand in 2014, estimating its value at $7.2 billion. As a massive global company, Red Bull needs to accurately track its sales and distribution numbers. Executives from the corporation came to Excel Consultant because they wanted to find a way to forecast how many of its various products would be sold. They also wanted to measure their metrics to determine if they were achieving their goals. 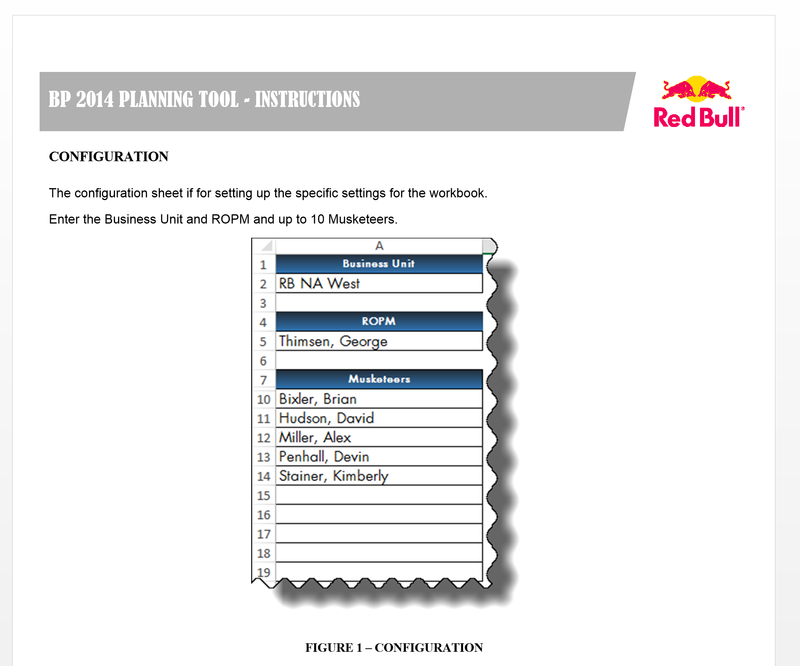 This seemingly simple operation was quite the complex task given the sheer size and scope of Red Bull’s accounts. Top administrators wanted to be able to assess the company’s performance across various levels, including global, regional, and sub-regional, which meant organizing an exponential amount of data. For example, each regional manager had up ten managers working beneath him or her, each of these managers led up to salespeople, and each salesperson handled hundreds of accounts. As a testament to the difficulty of this assignment, one of our competitors had attempted to solve this problem for Red Bull, but had failed, leaving the company with a tangle of spreadsheets to sort out. 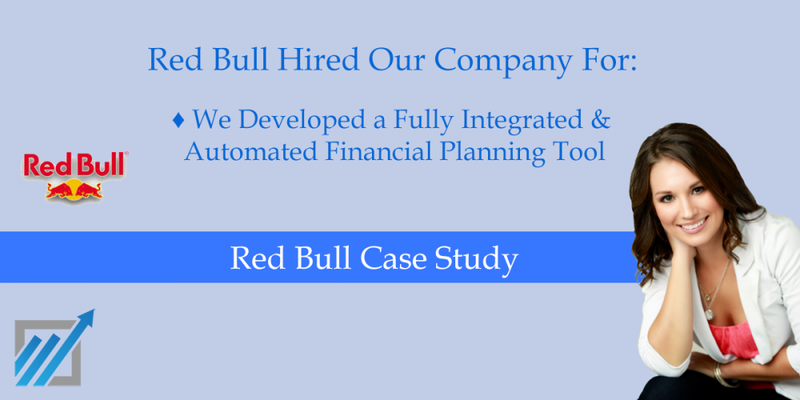 Red Bull’s executives initially contacted Excel Consultant to repair the work performed by this other software consultancy. However, when we examined the existing state of affairs, we determined that it would cost more to fix the mistakes than to properly build a new system from scratch. Given these circumstances, Red Bull contracted us to create a brand new structure for them, so we got to work straightaway. Create and view reports including pertinent data from a specific account, salesperson, manager, or regional manager, as well as global totals. Red Bull was so satisfied with our exemplary work that we’ve worked with the company every year since then, 11 times in total. Throughout our partnership, Excel Consultant has provided well over 250 hours of software support, solutions, and service. We are proud to have helped this global corporate powerhouse function better. If you would like to receive the same 5-Star service and an equally amazing solution as Red Bull, dial 877-392-3539 and ask for Christopher now.